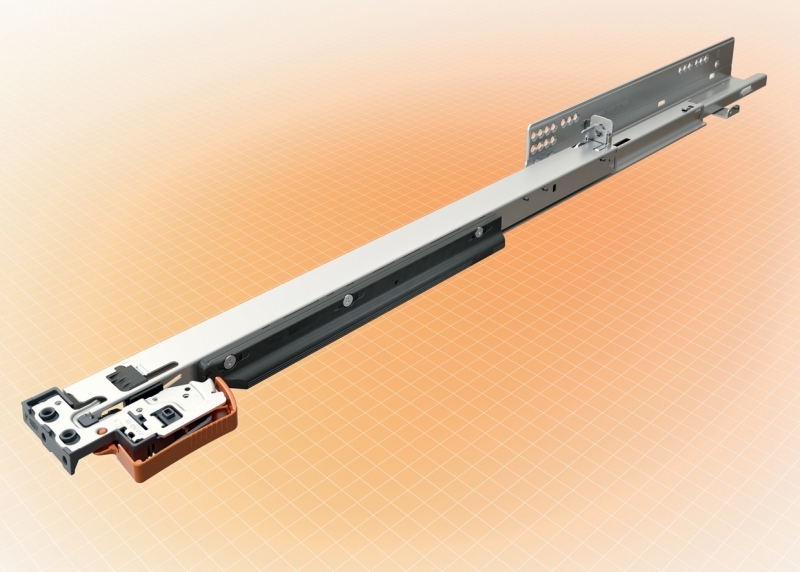 MOVENTO offers a synchronised feather-light glide, 4-dimensional front adjustment, dynamic carrying capacities of 40 and 60 kg, high stability and very good sag values. 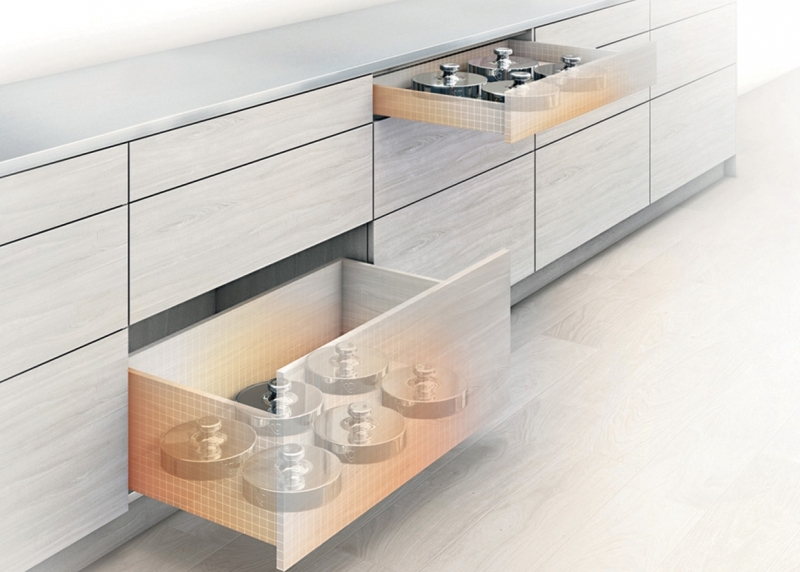 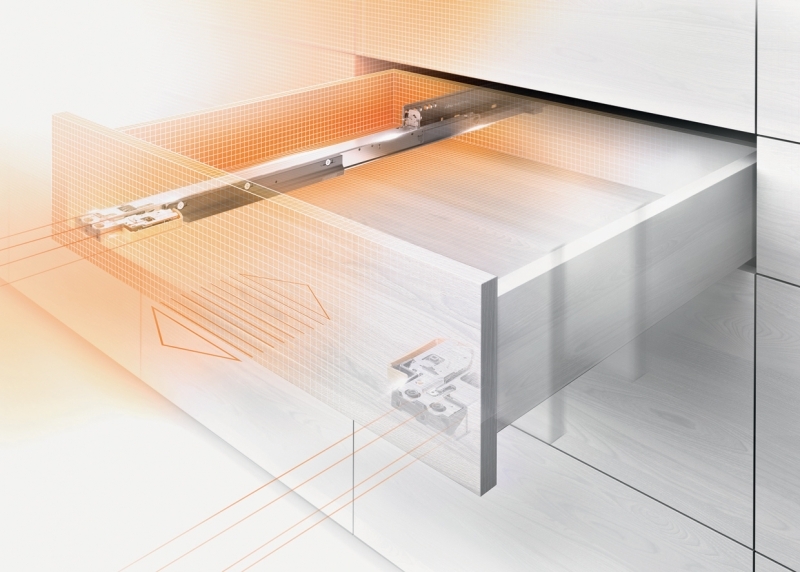 MOVENTO combined with TIP-ON (integrated into runner) for handle-less furniture. 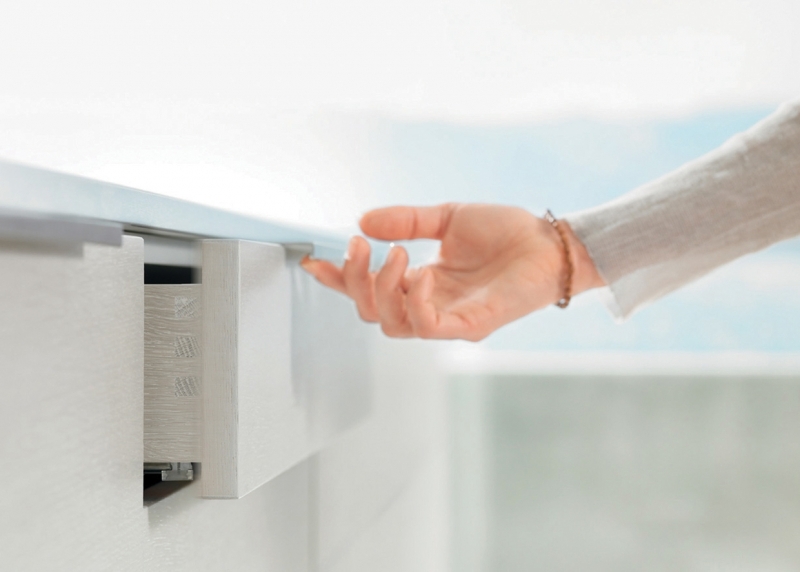 Or MOVENTO combined with SERVO-DRIVE plus soft-close BLUMOTION.